Oh it’s good to be back in Chester! 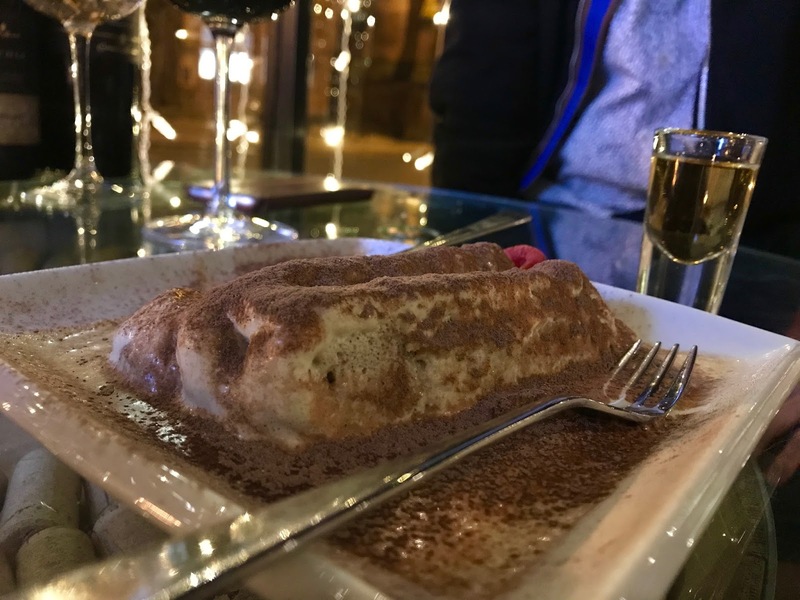 This weekend we made the most of an extra night at home on the Sunday as we were invited along to Veeno, the first Italian wine cafe chain, located on Northgate Street. 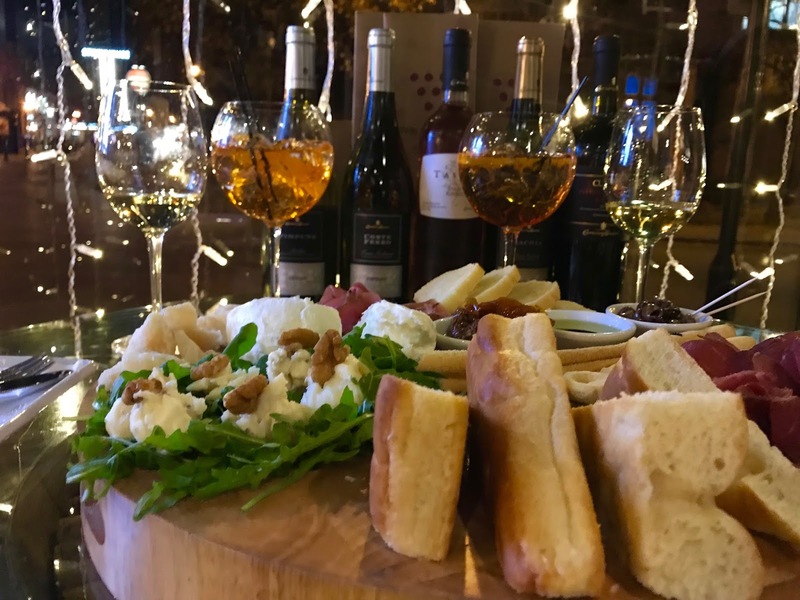 With a growing presence across the UK, they serve the most incredible and wide range of Sicilian wines and sputuni, as authentically as it gets. 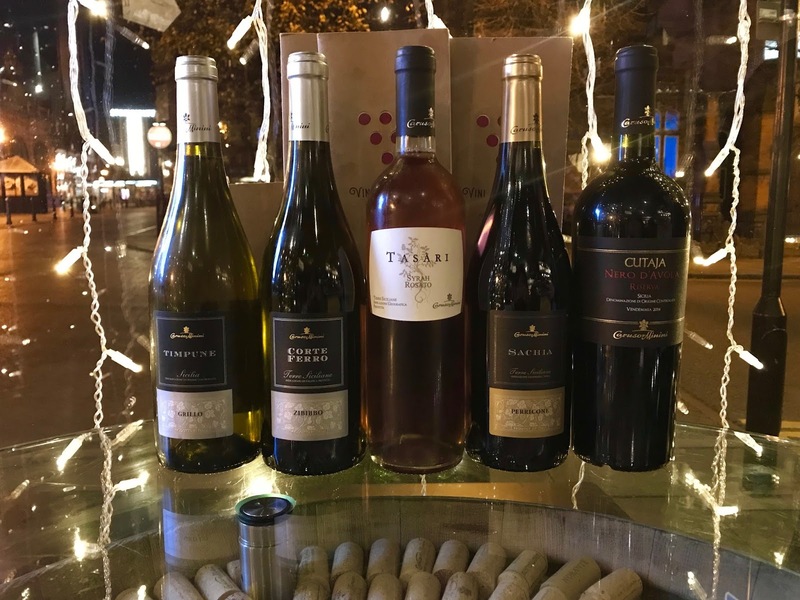 The Caruso & Minini wines we spent the evening trying came directly from their Sicilian vineyards, along with a platter of meats, cheeses and breads – all especially paired with each wine. With a welcome Aperol spritz cocktail, we were introduced to the two whites, a rose and two reds which we would be trying, kicking things off with a Grillo, their driest of the white wines. The buffalo mozzarella went perfectly with this one, with the strong cheese taste making the dry wine much easier to drink and the flavours of both were heightened by the other. Sicily is the perfect location for the vineyard as the climate almost stays the same throughout the year. This means that the wine’s taste is consistent, although we learnt that where about on the vineyard itself can change the taste. The grapes for the drier wines are grown at the highest point in the vineyard as it is here where there is most sunlight, and they are never watered. The second of the white wines was quite similar, although sweeter and with hints of spice. With Sicily being home to Mount Etna, any volcanic eruptions taking place here just makes the wine that bit more incredible. The ash mixes with the rocks and allows plants to absorb plenty of water through the roots, and it is which gives this wine its spice. If that’s too much Science for you, then all you need to know is that it is amazing with parmesan and balsamic glaze! Jessica loves rose wine, however this one didn’t seem at all familiar or taste like ones she has had in the past. It was because at this point we learnt that there is absolutely no sugar in anyone of Veeno’s wines, which is a lot more than can be said about what is stocked in UK supermarkets. 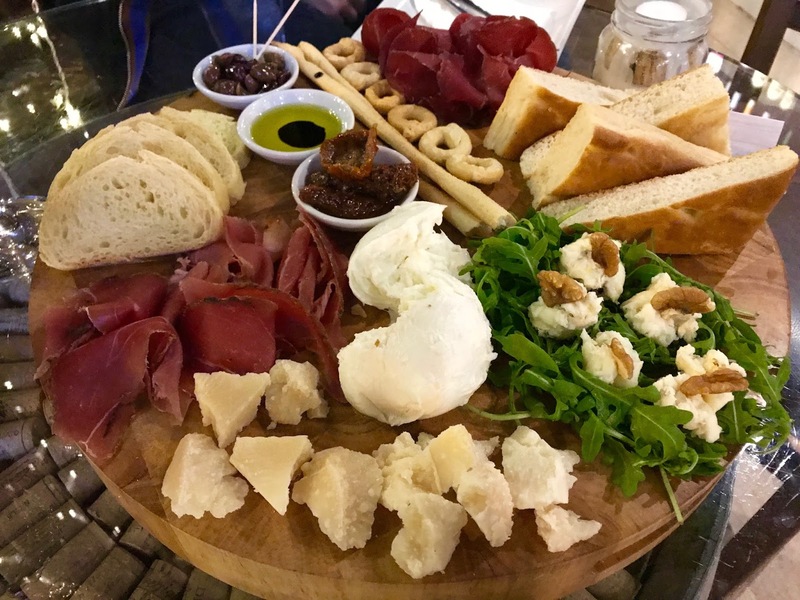 Cheese and wine in the UK is a cheat day treat, but in Italy, it’s an everyday thing and part of their magnificent culture. It’s a little bit more acceptable when there is no sugar and the cheeses aren’t full of bad fats. But in fact Sicilians don’t drink much rose wine at all, and we tried the only one of its type that Veeno stocks. The strawberry, pomegranate and cherry flavours were an absolute delight, and the smoked parma ham made it extra special. Now on the reds, which neither of us are usually massive fans of, but we may just have been converted now. 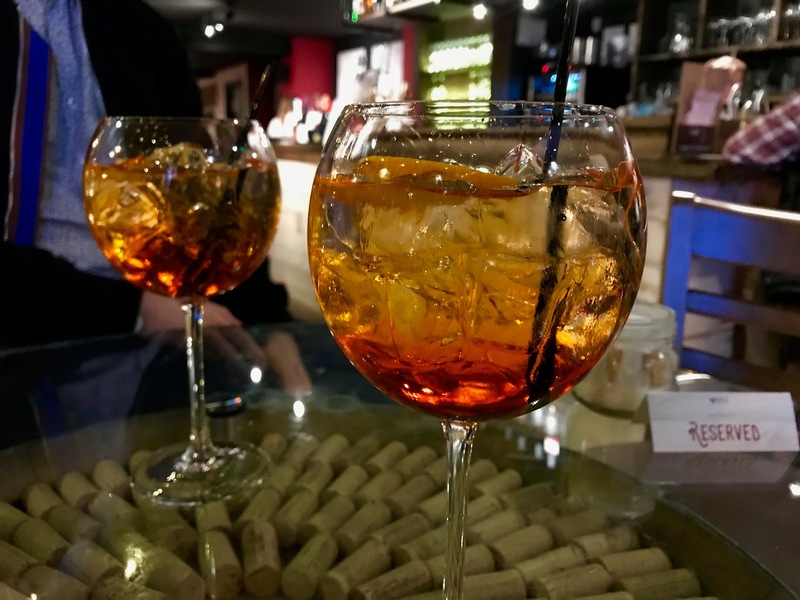 The first was a Perricone – strong, deep, and with hints of liquorish, it wasn’t one which we expected to think much of, but actually Jessica said she preferred it to the rose – and that was definitely a shock! But the strongest and most expensive wine was saved until last. At a grand £8.50 for a small glass is the reserva Gorgonzola, a red that is high in tannins and hits the back of the throat immediately. Aged for 10 months in the barrel and 6 months in the bottle, it is also the wine with the lengthiest making process. Perhaps not one we’d go back for, but it was certainly interesting to try and say we’ve had the widest variety of wines we could possibly hope for! But that wasn’t all, along with a dessert wine was Tirimasu – homemade with a secret recipe and for a change, no alcohol! It was the perfect way to end a fantastic evening, and we can’t thank Veeno enough for having us along! Also, big shout out to our waitress Hannah, who knew every last detail about all that was in our glasses and on our plates. We had an incredible service all night. 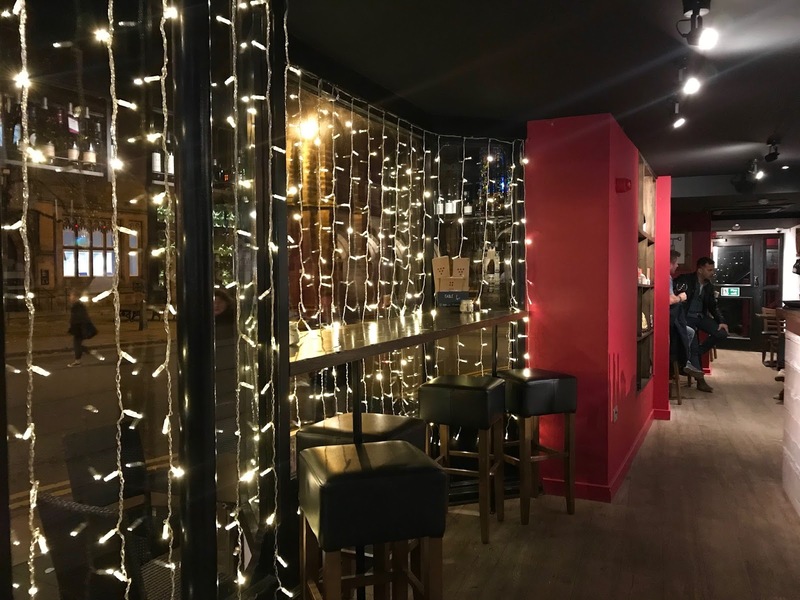 They have cafe’s up and down the UK, and you can find your nearest one on their website, along with more details about their wines and story. Disclaimer: we were invited to the restaurant for a complimentary wine tasting experience in exchange for a review. As always, all our opinions and photos are our own.